Heat up milk with spices to ca. 70°C, chill and soak in it the cod fillets, put aside for ca. 20 minutes. Afterwards take the fish out and place on the oven-pan, bake in 170°C for circa 10-12 minutes with butter. 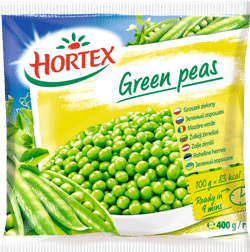 Defrost the peas. Onions fry in butter, add the defrosted peas and some water. Simmer for a short time, then blend with horseradish and mascarpone. Sprinkle lemon to taste. 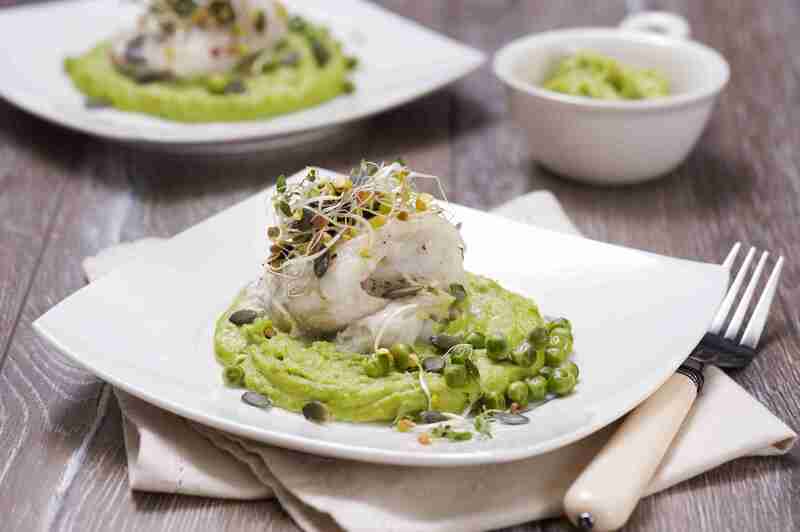 Baked cod fillets serve on the peas puree and place on top sprouts, pumpkin seeds and fresh thyme.